We only send Papier's unique and charming Christmas cards to our favourite friends. Be sure to send the right message this festive season with these beautifully printed cards. Papier also create personalised stationary on plush papers and cards - the perfect gift for the letter writer in your life. Packed with luxury candles, fragrances and creams from the renowned Parisian company, the Diptyque Advent Calendar truly is a luxury. Say something special this festive season with a gift that exceeds all advent calendar expectations and is perfect for London's beauty queens. You heard us, Pines and Needles are delivering Christmas trees directly to lucky Londoner's doors. And not only do they deliver, they'll install, decorate and recycle your tree, too. Enjoy 10% off your order and a gift of mistletoe to surprise that special someone this winter with our exclusive Culture Whisper code. Use code: CULTURE online or in-store. Delivery until: December 24 (early booking for delivery slots strongly advised). 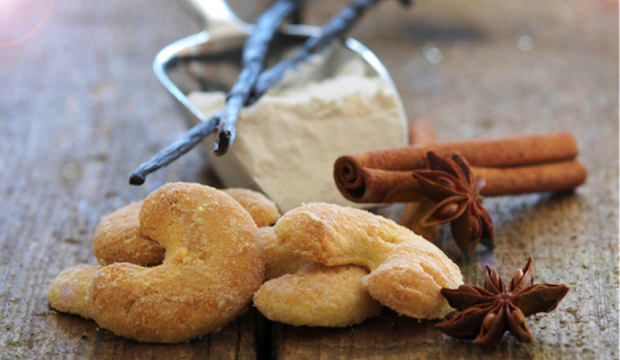 Easy, delicious and perfect for London's rainy winter nights in: this recipe for our authentic Vanillekipferl are the perfect festive fix. Satisfy your sweet tooth, treat the family or impress your guests with these traditional German Christmas biscuits.